Why do we always have to blame Mother Nature instead of owning what we have created. We build housing in flood plains and in areas that have been prone to wild fires since dinosaurs walked on earth. Crazy part is we have been water proofing wooden boats forever and the production housing we build in wetland areas still use house wraps designed for falling rain and not rising water. In the the west, our houses invite the flying embers right into the combustible attic space with vent block screen that are there to defend rats not flying embers. When are we going to stop all the negative climate change propaganda by the media and start supporting positive American Innovation that can defend homes from rising water and homes from wild fires. All these applied science and technologies are now available in today's supply chain. 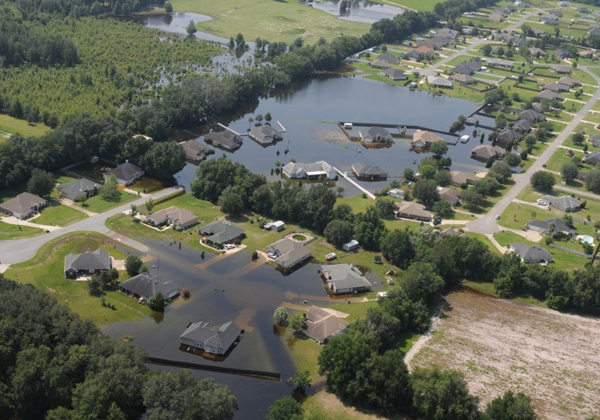 It's our Insurance Underwriters that need to take the product decisions away from our builders by lowering their risk premiums as they use Best Practices in flood and fire prone areas. This is what was left behind after the 2017 wild fire in Santa Rosa. Now you tell me what is a bigger threat? Flooding verses wild fires like we witnessed last year and are predicted for 2018. After the Northridge Quake, we embraced new seismic engineering that is now the law. So when are we going to stop blaming our dumb building practices and build Resilient against these weather related events? Houses do not need to be built up on 2 and 3 foot poles to become water proof, which is what destroys them, not tidal waves. 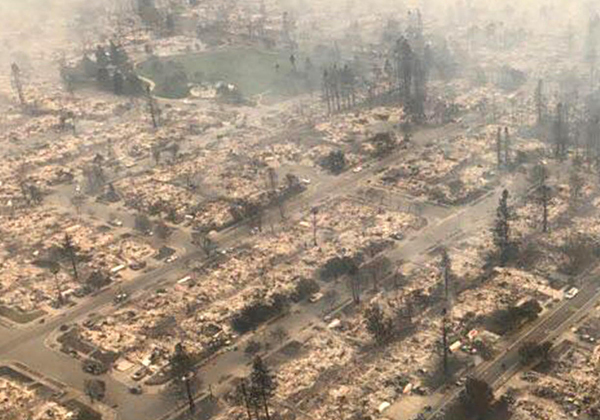 When are we going to make houses more resilient to defend Lazy Wild Fires from consuming thousands of homes each year? This should be the focus not climate change.